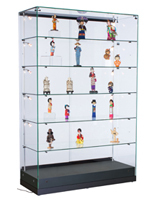 With its versatile design, you can use this modern LED showcase to present a new line of products for your store or exhibit pieces at a museum. 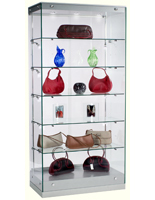 This display cabinet is constructed with tempered glass, making it stronger and more resistant to scratches. 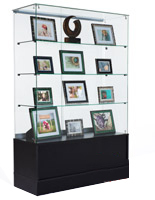 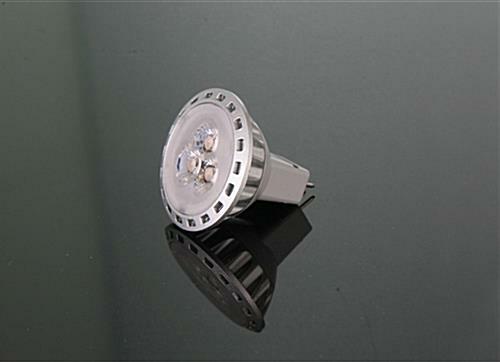 Powered with energy efficient lighting, this illuminated LED showcase is often used for jewelry, trophies, electronics, and other high end products. 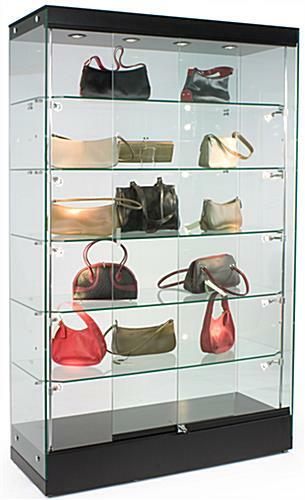 This display cabinet can also double as a storage unit by locking its sliding door. 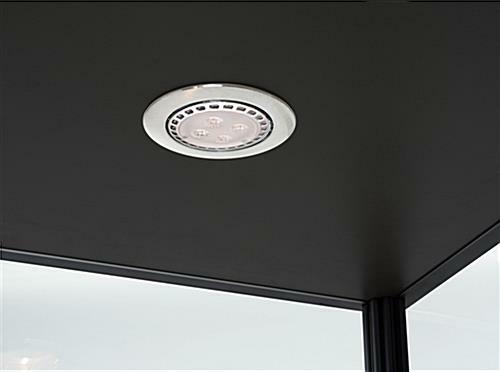 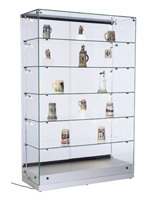 Between its height adjustable shelves and swiveling lighting, this LED showcase allows you to illuminate and configure your unit to your specific needs. 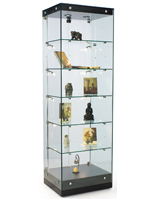 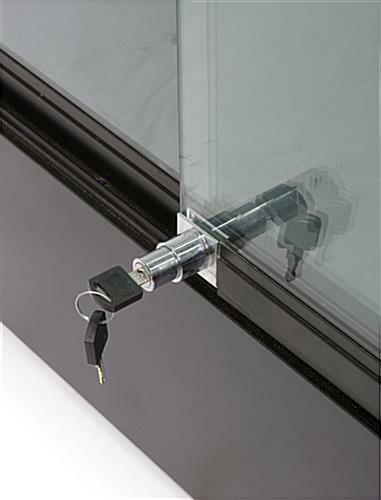 Whether it is housing artifacts at a museum or fine jewelry at a boutique, customers can easily view the contents of this unit with its frameless, glass design.